Accounting clerks create, update, review and maintain accounting records. Accounting clerks are also known as accounting assistants and technicians. What are Common Job Duties? Accounting clerks typically use spreadsheets and other applications to record and process financial documentation related to vendor, client and internal customer accounts, according to the Bureau of Labor Statistics. They are responsible for generating business transaction records, such as invoices and purchase orders, and also updating bank and credit accounting databases and spreadsheets. They may prepare and process electronic invoices checks and receipts through software applications. Some accounting clerks code and process payable invoices, expense reports and credit card reconciliations. Others maintain timekeeping systems, manage paid time off tracking systems and prepare monthly payroll reports. Accounting clerks work for all different business types, but those who are employed by larger companies often provide assistance to Certified Public Accountants (CPAs). Who Typically Becomes an Accounting Clerk? There are characteristics that are needed to become a successful accounting clerk. Anyone who works in finance should be comfortable working in front of a computer in an office setting all day long. Strong attention to detail must be maintained for long periods of time. Accounting clerks must be proficient in the use of spreadsheet software, such as Microsoft Excel, and accounting systems, such as Microsoft Money or QuickBooks. Accounting clerks must have the ability to effectively prioritize work throughout the day through their exceptional organizational skills. They must be comfortable working independently on routine tasks and enjoy having established rules and methods for work processes. The educational requirements to become an accounting clerk vary from one job to another, but they also depend on the scope and responsibility of the target position. Most accounting clerks have associate’s degrees in business, finance or accounting. Very few accounting clerks are hired with only a high school diploma. Accounting coursework from a post-secondary educational organizational is highly recommended. 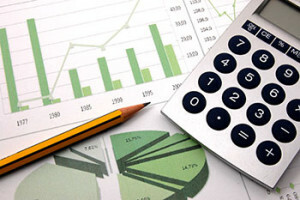 Most associate degree programs focus on basic accounting skills and procedures related to computerized accounting techniques. Course topics include ethics, taxation, auditing, cost accounting and business law. Many accounting clerks choose to achieve independent certification through the National Bookkeepers Association (NBA) or the American Institute of Professional Bookkeepers (AIPB). What are Some Tips for Career Success? First, be sure to develop proficient software skills. Accounting clerks should research their target company’s proprietary software program in order know how to handle payroll, reporting and performance analysis functionality. Having excellent soft skills will be very beneficial. That is, accounting clerks need be good at interacting and communicating with clients and coworkers. Maintaining confidentiality and being discrete is vital because financial information is highly sensitive. Accounting clerks must be assertive to ask difficult question and challenge discrepancies and reconciliations. An eye for detail is very important because accounting clerk must continual perform data entry tasks, match invoices to purchase orders and reconcile bank statements with the general ledger. Accounting clerks should continue their education and take advantage of available seminars and on-site training opportunities to propel their careers forward.